The Old Testament looks forward to a new time, a time when law is not the basis of righteousness. The Law and Prophets testify to this time. 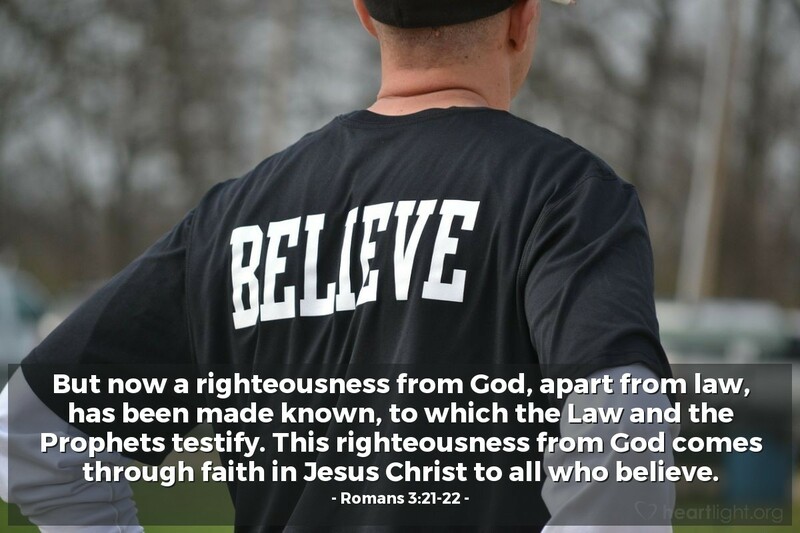 This righteousness comes from God and is built on the sacrificial work of Jesus who liberates us from law and brings us God's grace. The real issue for us is trust — many today confuse believing with simply thinking something in one's head, while the Bible sees belief as something that involves our heart and changes our behavior. So what is the basis on which you are building your life today? What is the measure of your righteousness? On what is your security tied? Thank God we can trust our life, our future, and our salvation to Jesus Christ and not to law-keeping. Precious Father, thank you so much for providing me with a Savior in Jesus. Thank you for declaring me righteous through the sacrifice of your Son. Please help me as I entrust my life and salvation to Jesus so that his life and character can be exemplified in the way that I live. In Jesus' holy name I pray. Amen.